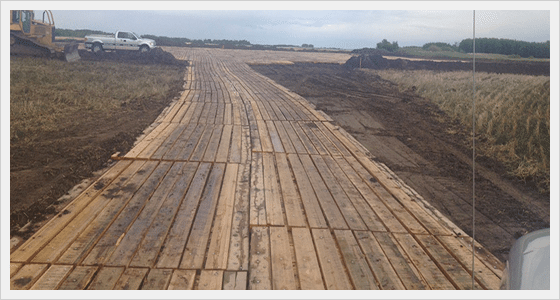 Mission: Supply, deliver and install approximately 1000 mats/ pad site for multiple jobs. Results: The customer was working on a continuous potash project in the Lanigan SK area drilling and monitoring wells. Having access matting allowed for them to safely and successfully complete their drilling program.